Market rate residential infill development. 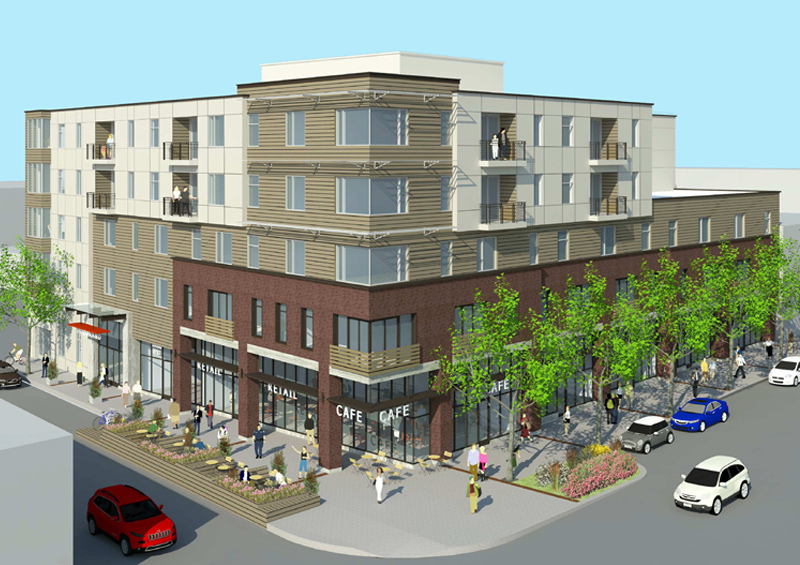 The five story mixed-use project includes four stories of housing over a ground floor retail podium. Enclosed parking for residents is provided.